In Pennsylvania the workers’ compensation system allows most workers injured on the job to receive insurance benefits to cover the costs of their injury. There are though, many requirements and procedures injured employees must follow. Likewise, there are just as many questions surrounding these procedures. One of these, and one of the most complicated, is whether an injured worker can see their own doctor or not. So, in Pennsylvania, can injured workers visit their own doctor after an injury? 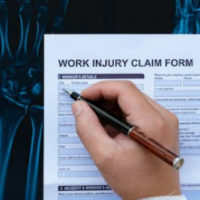 In many cases, it is possible for an injured worker to visit their own doctor after becoming injured in the workplace. However, workers’ compensation in Pennsylvania also allows employers to specify that injured workers see a specific doctor. This is known as a Panel Acknowledgement. A Panel Acknowledgement is a list of at least six physicians an employer can require an employee to visit after a workplace injury. The employer must provide this list to the employee during the hiring phase. It’s also required that the Panel Acknowledgement is provided to the employee immediately following their injury. When these conditions are met, the employee must visit one or more of the listed physicians for the first 90 days after an injury. When an employer has met the requirements for the Panel Acknowledgement, the injured worker can choose from any of the doctors on the list. In addition, if the employee requires a type of care not provided by a doctor on the list, they can choose to see a physician qualified to care for them, even if they are not listed on the Panel Acknowledgement. For example, if an employee injures their back at work, they may need to see a chiropractor. If a chiropractor is not listed on the Panel Acknowledgement though, they can select a chiropractor of their choosing to visit. In addition to this exception, it’s also important that injured workers understand the Panel Acknowledgement only applies for the first 90 days after the accident. Once that time passes, an employee requiring additional care can see any doctor of their choosing. Employers are often in favor of providing a Panel Acknowledgement because these doctors are typically hired by the employer’s workers’ compensation insurance company. As such, they don’t always have the employee’s best interests in mind. Instead, they sometimes focus on downplaying the injury, which allows the insurance company to make smaller settlement payments. These doctors also don’t fully understand a person’s medical history, as they will likely see the employee for the first time after the injury. This can also result in a misdiagnosis or treatment not appropriate for the individual. For this reason, any injured worker should also see their own doctor, if only for a second opinion. While the cost for this visit is likely not covered under workers’ compensation insurance, it allows the injured employee to get a second opinion. This can help them better understand if the doctor on the Panel Acknowledgement is providing proper care. Whether or not someone can see their own doctor is just one way in which workers’ compensation claims become complicated. A Scranton workers’ compensation lawyer can help workers sort through their claims and get the full amount of compensation they are entitled to. If you’ve been injured on the job, contact Haggerty, Hinton, & Cosgrove, LLP at 570-344-9845. We will answer all of your questions regarding your claim and walk you through it every step of the way. Call us today to learn more about what we can do for you.